President Donald Trump’s executive order halting the importation of refugees from six terror-exporting countries also includes a section requiring the government to publicly release information on crimes committed by foreign nationals, including honor killings of women. This lets the government “be more transparent with the American people and to implement more effectively policies and practices that serve the national interest,” the order states. Department of Homeland Security Secretary John Kelly and U.S. Attorney General Jeff Sessions must work together to provide the public with a report on foreign nationals charged with and convicted of terrorism-related offenses, including those who associate with or provide support to terrorist organizations. The order also instructs the government to release information on honor-killings. 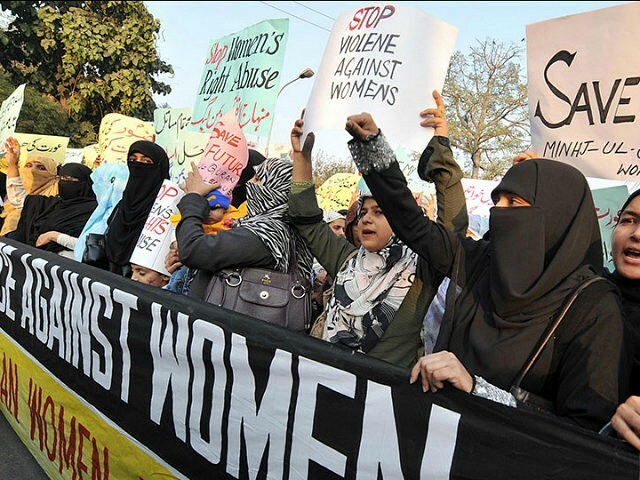 The government will now track cases involving foreign-born individuals who commit “gender-based violence against women,” or honor killings. Honor killings are a brutal practice wherein Muslim males will murder or mutilate female family members accused of bringing shame and dishonor to their families and Islam. Like female genital mutilation, it is a practice that would not exist in the U.S. without mass immigration bringing its practitioners into U.S. communities. “Cases of honor killings and/or violence in the U.S. are often unreported because of the shame it can cause to the victim and the victim’s family. Also, because victims are often young women, they may feel that reporting the crime to authorities will draw too much attention to the family committing the crime,” former U.S. government analyst Farhana Qazi explained to Fox News in November 2015. The order requires the government to release its inaugural report by September 2017, close to the sixteenth anniversary of the 9/11 terror attacks committed by Islamic foreign nationals admitted to the U.S. on various visas. Reports shall be issued every six months from then on. The transparency will likely increase the broad support Trump’s immigration policies enjoy. Typically, the government conceals or refuses to collect immigration-related statistics that reveal troubling consequences of mass immigration policies. A Feb. 8 Morning Consult poll found 55 percent of voters supported Trump’s executive order, including 82 percent of Republicans. Another McLaughlin & Associates poll release Feb. 8 found 57 percent support for a halt of refugee settlement to implement better screening procedures. A Rasmussen Reports poll released on Feb. 2 found 52 percent of voters favored a freeze on all refugee resettlement until the government could better screen out terrorists, including 57 percent of young voters. A 2015 report detailing honor killings can be read here.